You can never have too many pairs of sandals when summer comes around! 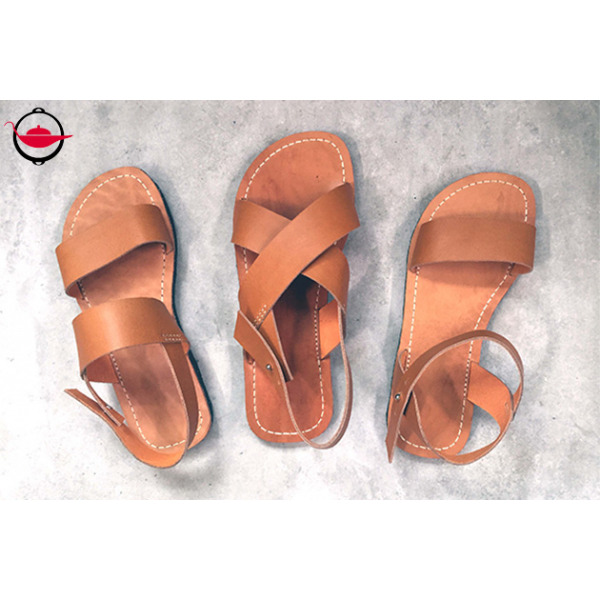 This 6 hour workshop will have you creating a unique pair of leather sandals from scratch. Your experienced instructor will teach you the basic techniques of sandal making. She will then take you step by step through the process of creating a pair of sandals by hand, from custom fitting the soles to your feet to adding final embellishments. Don’t forget to bring in photos of your favourite sandal styles for inspiration - you can choose from a selection of materials and colours to personalize your creation! This workshop is ideal for DIY beginners, who want a taster of a wearable craft project. After the workshop, you can apply the same techniques to make any style and size of sandal you want. Additional participants can join at $1200 per person, up to a maximum of 5 people. This Experience lasts for 6 hours. Tea, coffee and biscuits. Feel free to bring your own snacks and drinks.